From then on go to the website of UKTV Play or use their app if supported. Please see supported devices between UKTV Play and Unlocator at the bottom of this page. UKTV Play is a British online streaming platform that brings you content from channels such as Dave, Really, Yesterday, and Drama. You can tap into a wide library of TV shows like A Place to Call Home, An Inspector Calls, Africa, and so many more. 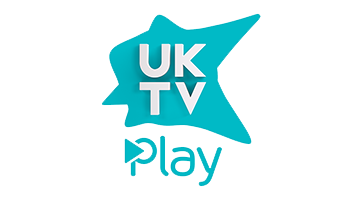 However, just like many channels in different regions, UKTV Play is only available for viewers residing in the United Kingdom. You can use of Unlocator in order to stream the channel from abroad. Unlocator Smart DNS gives you access to the streaming service and a plethora of other geographically restricted channels regardless of your current location. It simply does that by re-directing the URLs responsible for exposing your whereabouts. Once configured, you’ll easily be able to stream UKTV Play anywhere in the world. Unlocator can easily be set up. All you have to do is sign up for a free Unlocator trial and follow the instruction guides below based on the platform you’re operating. Note that there’s no need for any additional software to install Unlocator on your device. On iOS and Android, users must change the device’s Region and Language to the UK. Without that, a banner will pop up as the app starts indicating “OUTSIDE THE UK?“. However, the videos will play in both situations. So, remember, get your free Unlocator account and configure Unlocator Smart DNS on your streaming device. Once you finish up the installation, you can enjoy the best content on UKTV Play anywhere you are.